Dr. Isabelo Torio, 26th Cav. I would like to thank my gracious hosts Dr. Isabello "Bill" Torio and Amy Saroca his niece for inviting me for dinner in their beautiful residence in San Diego. He just arrived from a vacation in Manila last March 5, 2008. It was really a great honor to meet and talk about their experiences with Dr. Torio and his guest for the weekend PS Veteran Dionisio Perez. I discussed with him about the chapter members and it’s plans and projects for this year. And he will gladly be our Adviser for our chapter. He mentioned that he has the by laws of the "Nininger"chapter. Dr. Torio ( ret. Anesthisiologist) 26th Cavalry, PS, HQ troop, ret. showed me his memorabilia display and told me of his experiences working in the communications HQ under Gen, Wainright. PS Dionisio Perez was with the 12 Medical Regiment, and serve in Bataan. He described about the diseases and atrocities he witness along the death march. He was part of the grave detail and buried a lot of his comrades. Another Vet. very honored to have met. And Also PS Dionisio Perez and his son Noel we will be seeing them in San Francisco for the reunion, as they will be coming from Sacramento. They were not aware of the event and I was truly glad to have help them with the info about the national reunion. 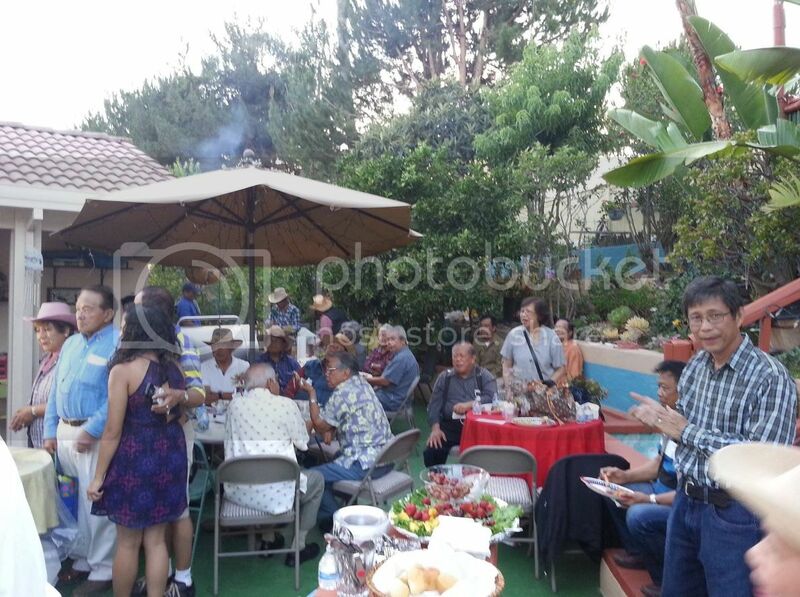 It was a dinner event with 30 plus guest honoring Veterans. The last speaker was Dr. Torio and bestowed the “Nininger” medal to his guest and comrade PS Dionisio Perez. And introduced to the audience the other Veterans, to my surprise as I was video taping the event for Dr. Torio with his video cam, Dr. Torio ask me to join them up front with the other heroes and proudly introduced me to all as the “new” generations of Philippine Scouts who will continue the legacy. It was the most humbling experience I have ever had to be in and I am not used to it. 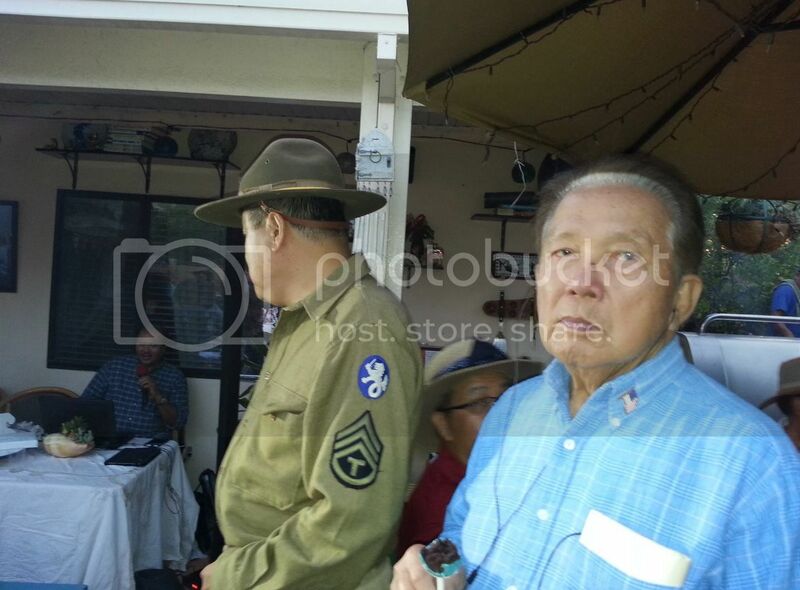 Once again I thank you and salute our original “Nininger” Veteran Dr. Isabello “Bill” Torio. PS 26th Cav. Dr. Torio’s display of medals and awards and experiences! 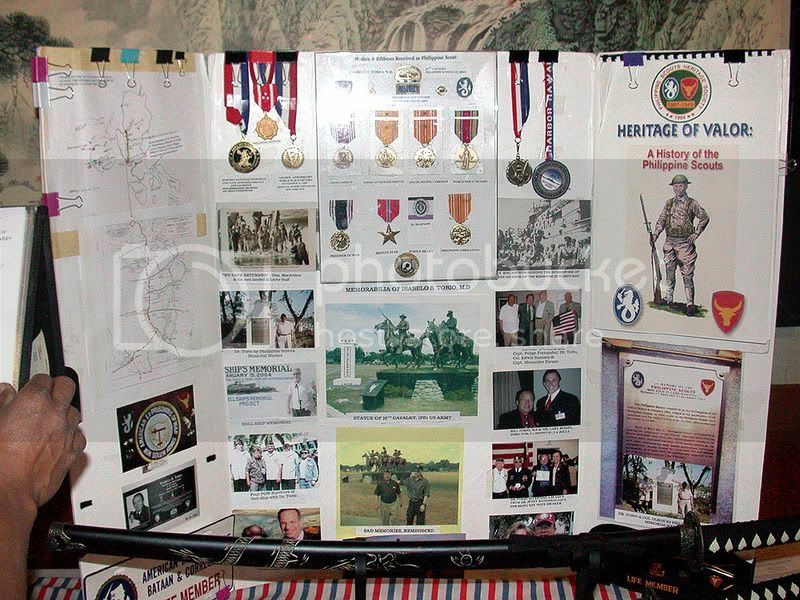 I checked out the beautifully made "Heritage of Valor" binded book at the top right! Incredible pictures and articles! 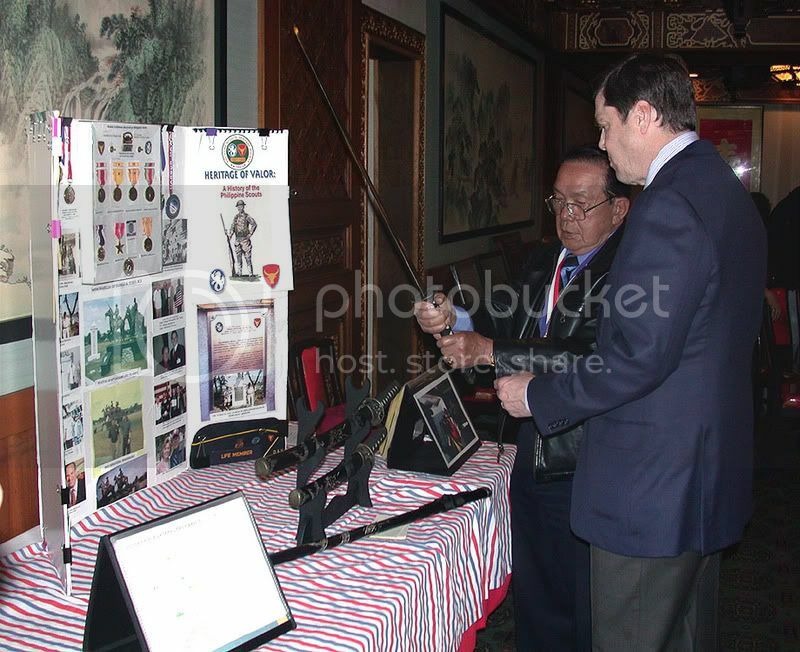 Dr. Torio showing his Samurai collection to Mayor candidate for the city of San Diego. 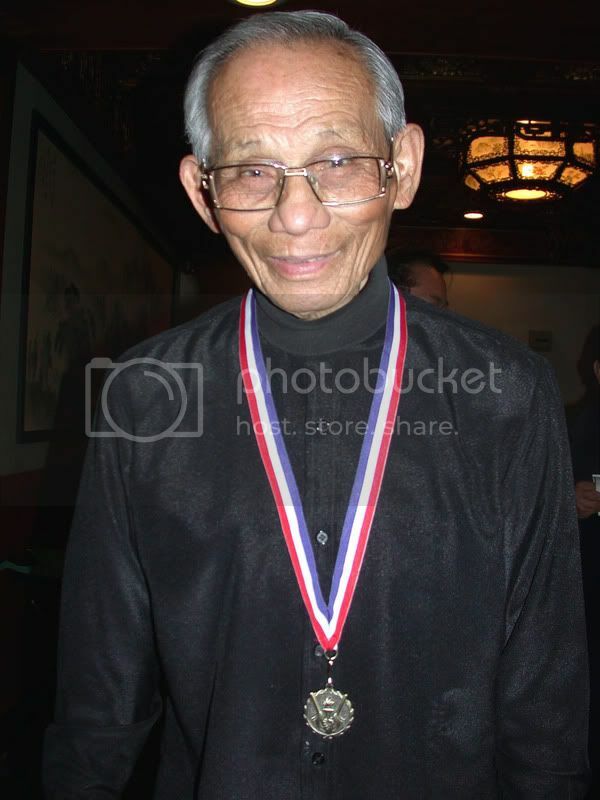 Wearing the “Nininger” medal bestowed to him by “Nininger” chapter Lifetime member Dr. Torio. It was an honor to have met them and looling forward to the trip to SF! ;D Thank you ! We continue their legacy! Strength And Loyalty, Anyhwere anytime! 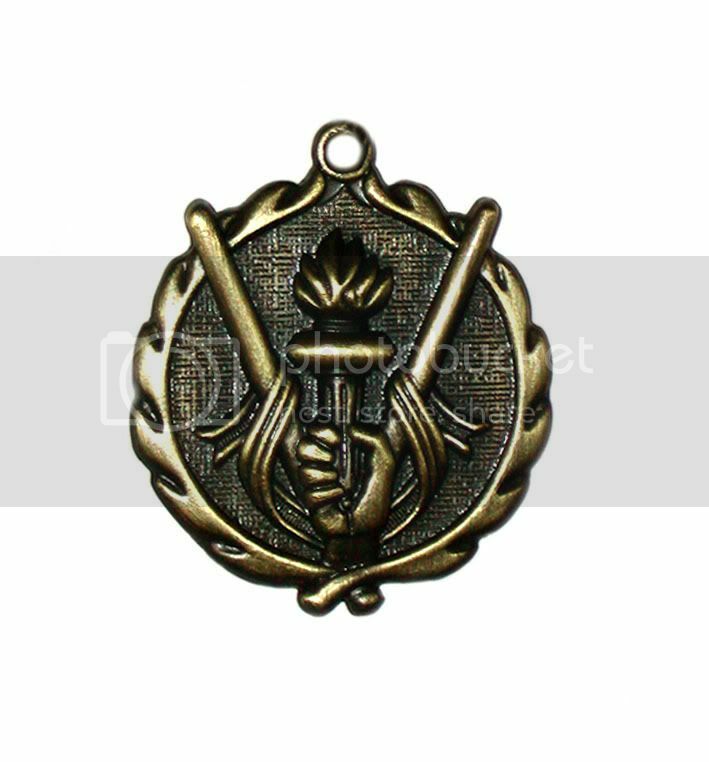 Not sounding childish, but I want a medal like that too, haha. I am a life time member, it looks great. Again great shots. Philip, what can I say? 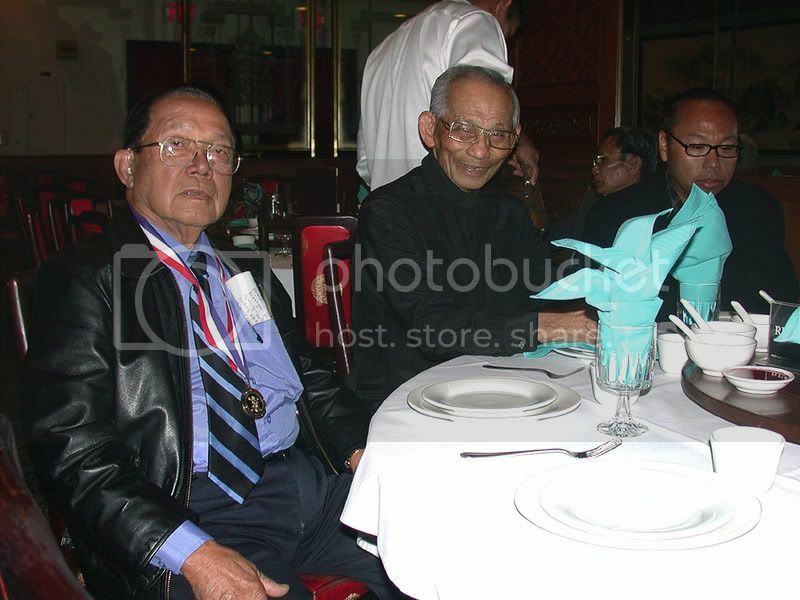 Good job in tracking down Dr. Torio, another 26th Cav vet. I'm looking forward to meeting him in SF in May. Dr. Torio told about the secret codes they did for communication . And they used the morse code telegraph system. No handy talkies. Will keep you guys update and hopefully we can have the meeting this weekend in his residence. 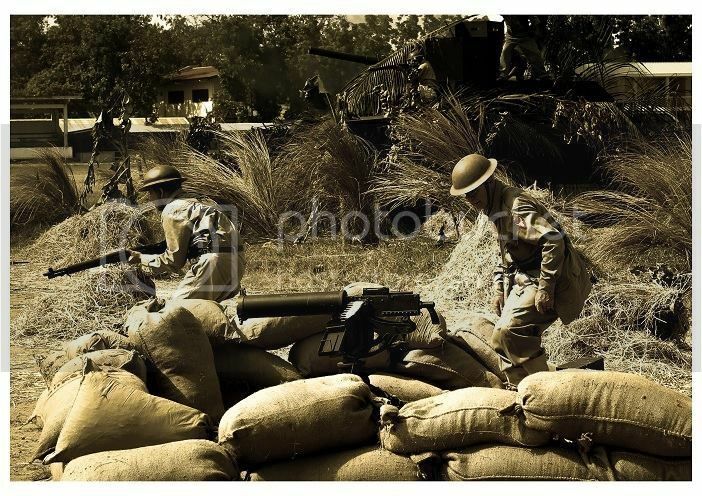 I showed both of them the docu of Donald Platta and "The Ghosts of Bataan" which they both really appreciated and want me to make them copies. As it is part of the "The Great Raid" DVD and It probably has the copy guard in it. But I can make a vhs copy and if it works Vic can you burn them a DVD copy? Better yet Philip... heck I'll buy him a real copy of the Great Raid with the Ghosts of Bataan special feature in it. It can be the Nininger Chapter's "gift" to him. Make sure the you get the DVD that has that feature, as I got mine as the directors cut version with a two disc special. Dr. Isabelo Torio is my second Lolo. He was my grandfathers bestfriend(RIP Lolo) from the 1930s-50s in Lingayen. 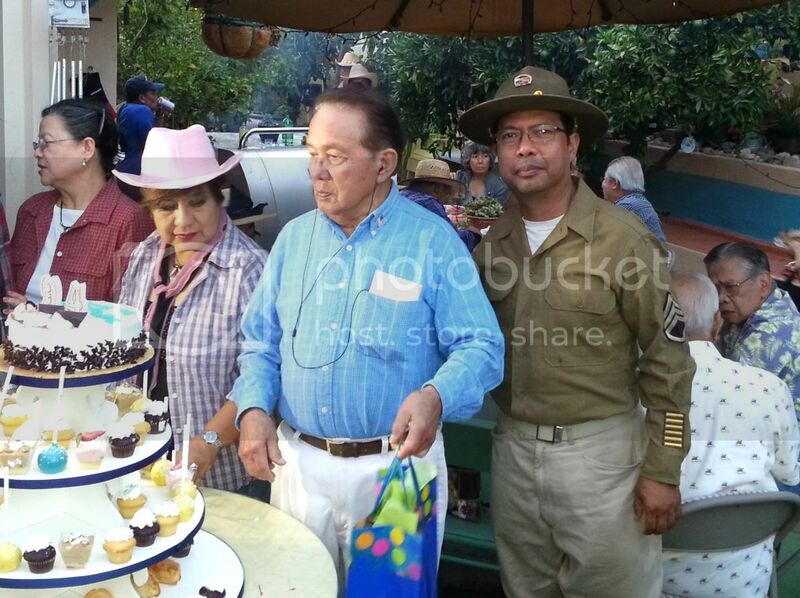 Dr. Torio(Lolo 'Belo) and Auntie Amy are always at our house, my family is very close with them...we also live in the same area. Maybe I'll see you at one of these meetings. 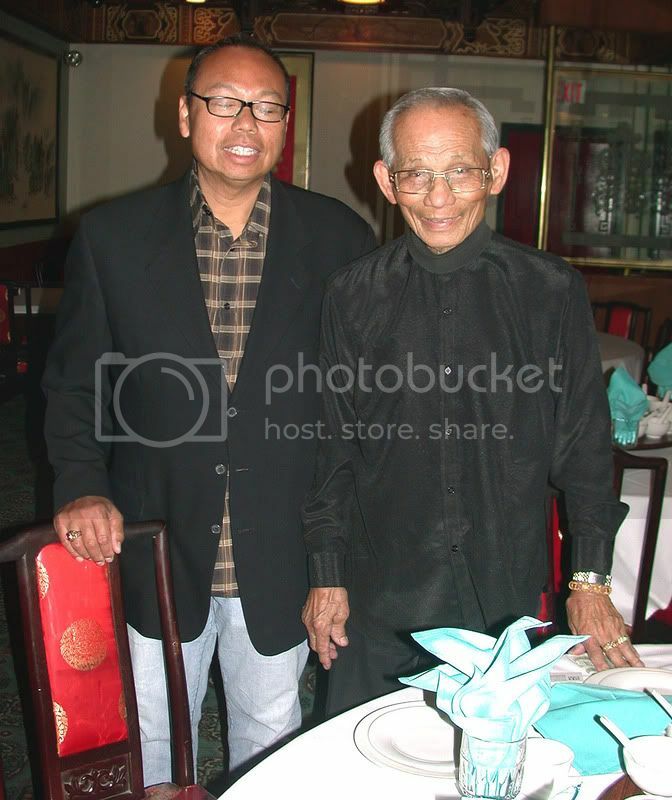 Dr. Torio is my mom's uncle, I haven't seen him since I was 5. I just randomly searched his name and found this. Would any of you happen to know how to contact him? Welcome chichi. Go to this page and contact Mike Houlahan. You can send me an email(dimasalang45@gmail.com) and I get you his number. 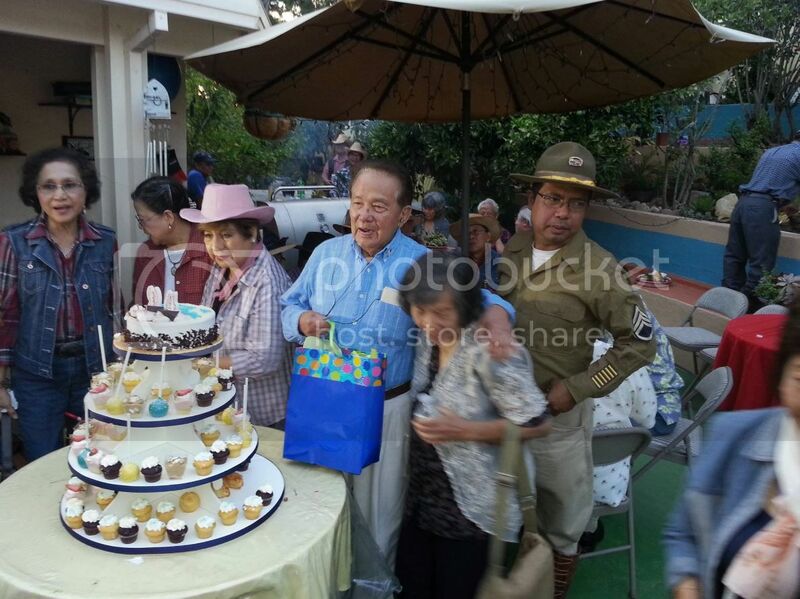 Pics from Dr. Torio's 94th birthday celebration.